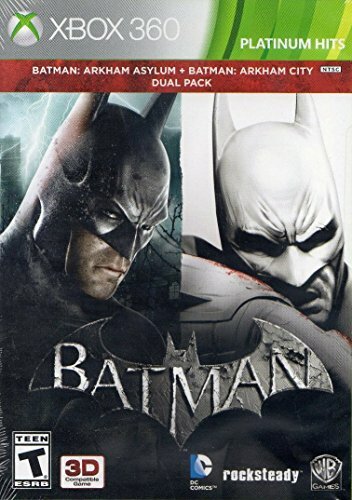 BATMAN: ARKHAM ASYLUM + CITY Dual Pack Xbox 360 game COMPLETE! Tested & Works! Batman Arkham City Asylum Dual Pack XBOX 360 Game Fast Ship Complete!